When you hear the first note of the Champions League anthem, the sense of occasion takes over. The butterflies in your stomach flutter in a way that only football can make them as the nervous excitement of the match builds. Get ready and book your Champions League tickets on time and be part of the action. These are no ordinary matches, not just two teams battling for supremacy. This is for the greatest prize in European club football. This is about seeing your heroes take on the might of Europe and being part of that moment. Your voice joins the cast of thousands in hoping, in wanting the players to succeed: to win. Real Madrid will tell you how important the Champions League is. They fell in love with the competition in the 1950s and every year they want this, the holy grail of football. 2015/16 saw them beat Atletico de Madrid for the second time in three years to lift the trophy; only beating Barcelona could be better. This is the one they all want to win, the trophy every captain wants to hoist above his head in jubilation, whether it is Bayern Munich’s Philipp Lahm, Arsenal’s Laurent Koscielny or Juventus’ Gianluigi Buffon. The greatest names in European football all want this on their c.v. – so does every supporter. There’s only one way to make it happen – be there! 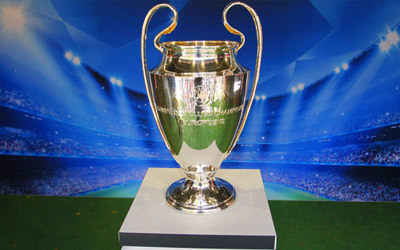 he Champions League was originally the Champions Cup, which first began in 1955 as a straightforward knockout competition. 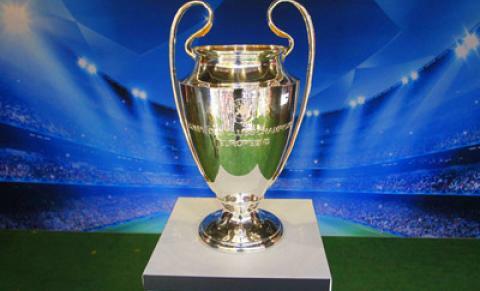 In 1992, UEFA renamed it the Champions League and introduced the first group stage into the competition. Over time, the format has changed with 32 teams now competing in the group stage. The top two in each group progress to a knockout competition whilst the third placed teams drop into the Europa League. Real Madrid won the first Champions Cup in 1956, beating French side Stade de Reims 4 – 3 in Paris. Marseille were the first winners of the Champions League in 1992 after they won 1 – 0 against AC Milan in Munich. The French club were allowed to retain the trophy despite being found guilty of corruption in the French League and being punished with relegation to Ligue 2. The greatest final was in 1960, the last of Real Madrid’s five-in-a-row. They beat German side, Eintracht Frankfurt 7 – 3 in Glasgow with Alfredo di Stefano scoring a hat-trick and Ferenc Puskas grabbing four. Many fantastic goals have been scored down the years, some truly memorable from the greatest footballers who ever played the game: Puskas, di Stefano, Eusebio, Cruyff, Maradona, Muller, Dalglish through to Cristiano Ronaldo and Lionel Messi. The most memorable in a final came in 2002 when Zinedine Zidane scored a stupendous volley for Real Madrid against Bayer Leverkusen in Glasgow. The ball dropped over his shoulder and the French genius lashed home what proved to be the winning goal. What’s the matter Jose? You OK Hun?